We tend to take our teeth for granted, until they’re gone. 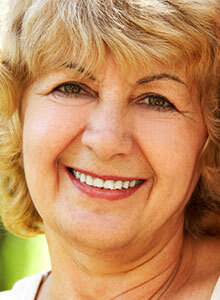 If you need replacement teeth or are unhappy with your dentures, visit an expert. Dr. Davis has three years of specialist training as a prosthodontist. 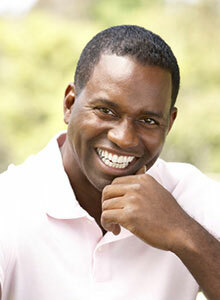 Prosthodontics is the specialty of replacing teeth. A prosthesis, in medicine, is a replacement limb. In dentistry, prosthetics refers to dentures, bridges, and dental implants. To become a prosthodontist, Dr. Davis first earned his general dentistry degree, then continued his education with three years of specialty education in prosthodontics. He followed his education with a residency in prosthodontics, as well. Read Dr. Davis’ full bio here. What type of dentures does Dr. Davis offer? Dr. Davis can create many types of dentures, from full dentures for upper and lower arches, to implant-supported dentures, to partials that replace multiple, non-adjacent, missing teeth. Our dental lab uses quality materials for denture bases, as well as replacement teeth. Many styles of dentures are available. 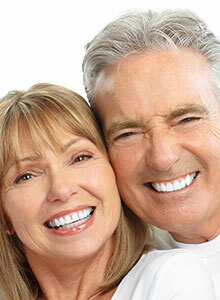 We can provide moderately or highly aesthetic dentures, based on your needs and preferences. My lower dentures slip. Can Dr. Davis secure them? Slipping dentures can be frustrating and embarrassing. Dr. Davis works with a periodontist or oral surgeon in an interdisciplinary approach to implant-supported dentures. With a denture secured to implant posts anchored in the jaw, slippage becomes history! Call today to reserve your personal denture consultation with your prosthodontic specialist, Dr. R. Troup Davis. Our Naples dental office serves patients from Bonita Springs, Fort Myers, Marco Island, and beyond. We can’t wait to give you the healthy, beautiful smile you deserve.